An old belief in Japan says that if you rub the body part of some religious statues, the corresponding part of your body will be cured of any illness. The belief applies to both Buddhist and Shinto statues, such as the cows representing Ushi-san at Tenman-gū Shinto shrines. 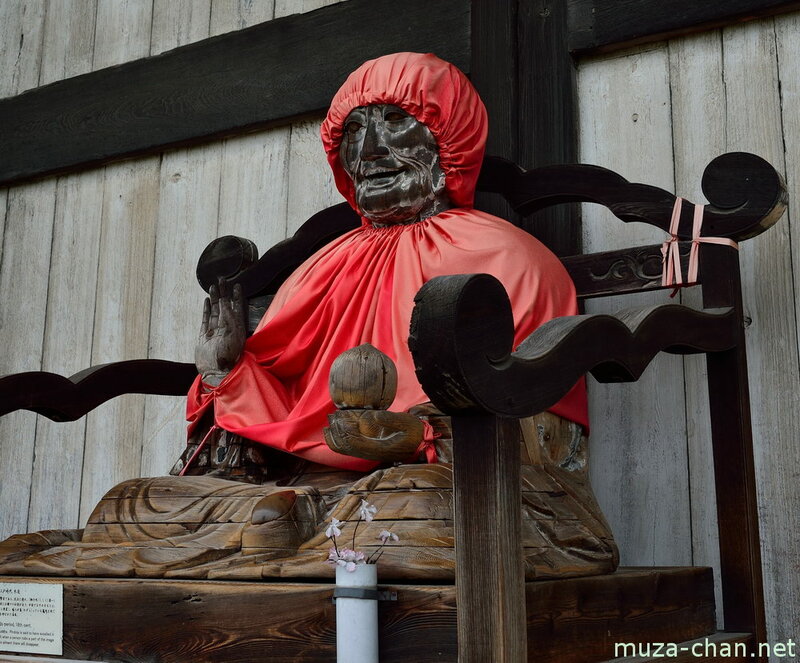 Photographed here is a Buddhist statue at Todai-ji, Nara, called nadebotoke, which literally means “rubbing Buddha statue". It represents Binzuru (Pindola Bharadraja in Sanskrit), one of the Sixteen Arhats, disciples of the historical Buddha.